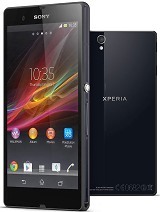 So, why the Sony Xperia ZL and not the Xperia Z? To begin with, this is a question many of you will never be asking, as the pair will not be officially available at the same time on most markets. At first glance, the best case scenario for the Xperia ZL would be for them to never cross paths. We mean, the Xperia ZL is a seriously good regional version of the current flagship but one that we would be hard-pressed to recommend over the more sophisticated, on top of being waterproofed, Xperia Z. On a second thought though, a more compact - and therefore more comfortable to handle - package will be an alternative enough people would be willing to consider. The Xperia ZL is powered by the same quad-core Snapdragon S4 Pro chipset ticking inside the Xperia Z and though it's no longer the best there is (Snapdragon 600, Exynos Octa), it still is a top-notch piece of hardware that will handle whatever you throw at it. The 5" 1080p TFT screen could've been at least slightly better though. OK, you can put the privacy spin on the limited viewing angles but you will have a lot harder time finding an excuse for the mediocre contrast. However, this shouldn't be held against the Xperia ZL alone - in fact, our unit come with a screen better than the proper flagship, so it might actually work to its advantage. Anyway, these are virtually identical packages and the choice boils down to premium looks and better grip, water proofing and more comfortable handling. There're things too like a hardware shutter key and an infrared port on the Xperia ZL. Probably enough for a regional version - but is it enough to justify a pair of almost equal high-end phones? Given that wider choice always works to the benefit of users, we'd say yes. And to make it even more complicated, the real competition comes into play. 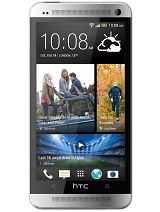 The already available HTC One has a slightly smaller but clearly superior screen, an optically stabilized camera, better audio output, a pair of stereo speakers and killer looks. Sure, the 4MP camera, whatever HTC calls it, might not be everyone's cup of tea but it gets the job done on most occasions and it's low-light performance is something to look forward to. The non-expandable storage is hardly ideal and the HTC One costs about €50 more than the Xperia ZL (not to mention the supply shortages), but it's definitely worth checking out. 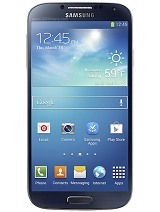 The more serious threat for the Xperia ZL is, of course, the Samsung Galaxy S4. It has the richest hardware and software package on the market, no matter whether you are looking at the Snapdragon 600 or the Exynos 5 Octa powered model. The latest Galaxy flagship boasts a 5-inch SuperAMOLED, a more impressive camera and a set of advanced gestures. In fact with the Xperia ZL lacking the sleek look of the Xperia Z, it's quite easy to recommend the Samsung flagship (which has uninspiring design as its sole shortcoming) over it despite the slightly higher asking price. The Oppo Find 5 and ZTE Grand S come from makers that are rising in popularity and offer flagship specs, without the premium name tax. Finding either of those in your local stores can be quite hard, though. There is the Asus Padfone Infinity too, which adds a 10.1" tablet dock, but you should make sure you need that as it costs an arm and a leg. The Sony Xperia ZL is not as good looking as its glass-clad sibling, or most of the direct rivals for that matter. Nor is it the most powerful device on the market. We're tempted to call the Xperia Z the better part of the pair and forget about it. 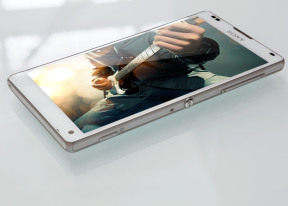 The most compact FullHD five-incher is the Xperia ZL's defining feature - and the emphasis is on compact. But ... the Xperia ZL is a FullHD five-incher after all, and for Sony having two horses in the flagship race must feel good. Plus, there's always people who like to cheer for the dark horse.